​Coined #SouthFultonSummer, the series of events is designed "to build awareness about Atlanta's new twin city while building a stronger sense of community." Councilman khalid explained to 11Alive News. In between the 2nd Annual Spring Egg-Stravaganza in Creel Park, Easter Sunday and the 5th Annual "Old Nat" Day at Old National Park this Labor Day, Councilman khalid has planned a First Fridays Outdoor Film Series of Black Cinema classics. Old National Councilman khalid & Old National Entertainment CEO Torrey Tomlinson joined forces again for the 2nd Annual Spring Egg-Stravaganza at Creel Park, April 21 at 3PM. WSB-TV 2 & CBS 46 news covered the event, including a Kid-treprenuer Press Conference of our all-Youth Vendor Marketplace and Children's Spring Fashion Show. With help from our sponsors, AmeriGroup, we gave away over 10,000 eggs, including Adult Egg Hunt prizes $100 & $50 cash, Gift Cards to Chick-fil-A, Olive Garden, Red Lobster, Benihana's and Georgia Lottery Tickets! #SouthFultonSummer's centerpiece is a First Fridays Outdoor Film Series featuring Black Cinema classics. Arrive at 7PM to enjoy live music, food trucks, and a Community Conversation about the themes explored in each film before the films begin at Sundown. Each screening will include a Community Conversation based on issues explored in that month's film. The series starts with a family-friendly movie in May, while the June through August films feature more adult themes. The Creel Park Parking Lot will be reserved for vendors, performers, police & paramedics and elected officials. FREE Parking for this event is available at the following locations within walking distance from the park. The City of South Fulton is building its police headquarters to Old National! Get updates from South Fulton Police Chief Keith Meadows on the building and other SFPD activities. Learn how you can help stop illegal dumping and other code enforcement issues in the community with our new See.Click.Fix. app & 24/7 Customer Service Number. Meet with Police & Code Enforcement officers to let them know about any problems in your neighborhood. The Kid-treprenuers Marketplace was such at hit at our Spring Egg-stravaganza, we are bringing it back for May's Family movie. The Kid-treprenuers Marketplace gives our young people a chance to practice entrepreneurship. ​Would you like your child to participate in our Kid Vendors' Marketplace? Please complete the Application below and our Event Organizers will contact you to reserve a space. Councilman khalid, America's first #BlackLivesMatter organizer elected to public office, will moderate a panel discussion of Whose Streets? This 2017 documentary chronicles the murder of Mike Brown in Ferguson, Missouri and the community organizing that followed. Panelists will include #BlackLivesMatter activists from the film, as well as South Fulton Police Chief Keith Meadows. ​It's Councilman khalid's Back-2-School Block Party & Bookbag Giveaway! Fulton County Schools First Day of School for the 2019-2020 year is August 12, 2019. Old National area Principals, Guidance Counselors & Community Liaisons will discuss what to do to get your child ready to go back to school; and a panel of community activists featuring Next Level Boys Academy's Gary Davis & Transforming Youth's Chris Bazemore will discuss warning signs & intervention techniques in dealing with today's troubled youth. The Outdoor Film Festival will feature Food Trucks each First Friday. If your restaurant or food truck would like to have a vendor space at Creel Park, please fill out the Food Truck Vendor Application at the link below. Would you like your child to participate in our Kid Vendors' Marketplace? Please complete the Application below and our Event Organizers will contact you to reserve a space. 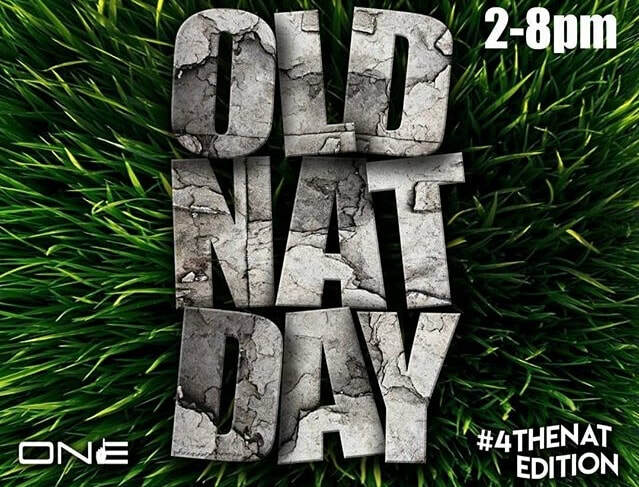 #SouthFultonSummer 2019's finale is the sapphire anniversary of a South Fulton tradition: Old Nat Day! Old National Entertainment promises an unforgettable 5-year Anniversary party featuring live performances, vendors, a Battle of the Bands and new surprises. Bookmark this page & Sign Up for the Newsletter below for updates on these & other South Fulton events.